Bicester Heritage, Oxfordshire, 25th May 2018 – Hundreds of Land Rovers are set to gather at Bicester Heritage, as the historic venue plays host to the Land Rover Legends show, and to the first National Awards for Land Rover vehicles. As the brand celebrates its 70th year, Land Rover Legends is a new format Land Rover show, proudly showcasing the icon through the decades for connoisseurs, collectors, preservationists, restorers and enthusiasts alike to enjoy and celebrate. A central part of the show will be a ‘live’ element inside the Bicester Heritage aircraft hangar, where the floor is handed over to outstanding vehicle parades and interviews with the people who have both made history and who have undertaken spectacular adventures in Land Rovers. The people, the cars and the stories will be presented in the live arena along with a Star Cars feature hosted by television presenter and classic car enthusiast, Mark Evans. 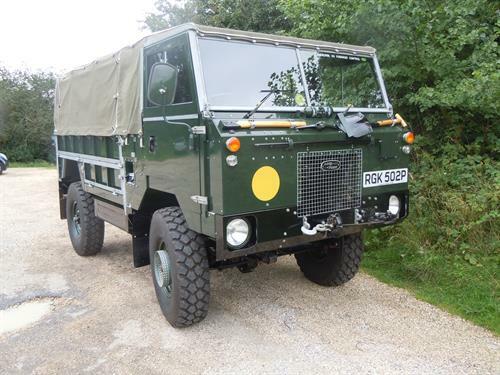 Tickets for the event are available now, for more information please visit: www.landroverlegends.com.